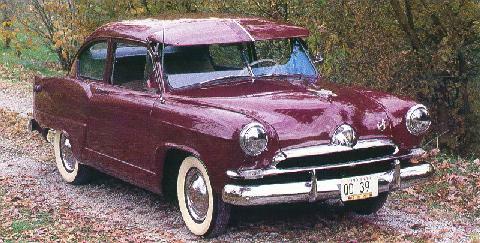 The firm brought out a small car in 1951 named the Henry J but when Kaiser-Frazer described it as "The car every American family can afford" no-one wanted to buy one. The Henry was only 9 in (230mm) longer than a VW Beetle with its 174 in (4,430 mm) from bumper to bumper. The model had a choice of two engines: four-cylinder 2,199 cc of 69 bhp or six-cylinder 2,638 cc and 81 bhp. The car was inexpensive and not bad in the slightest but what American cared to admit he could not afford a "decent" car.